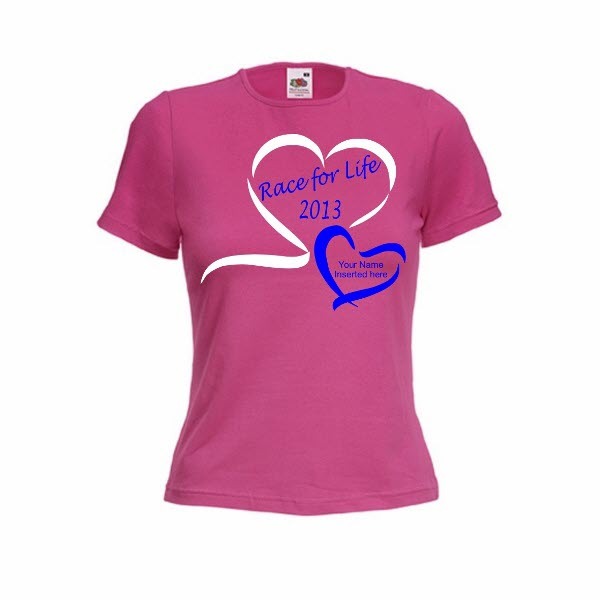 Fruit of the Loom Round Neck Ladies Fit T-shirts, available in Fuchsia, White or Light Pink. 5 sizes to choose from, XS - Size 8, S - Size 10, M - Size 12, Large - Size 14 and XL -Size 16. Personalise this t-shirt with a name within the blue heart. This can be the person you are running for, in Memory Of or you can leave it blank, it's entirely your choice. There is also an option to add text to the back of the t-shirt.